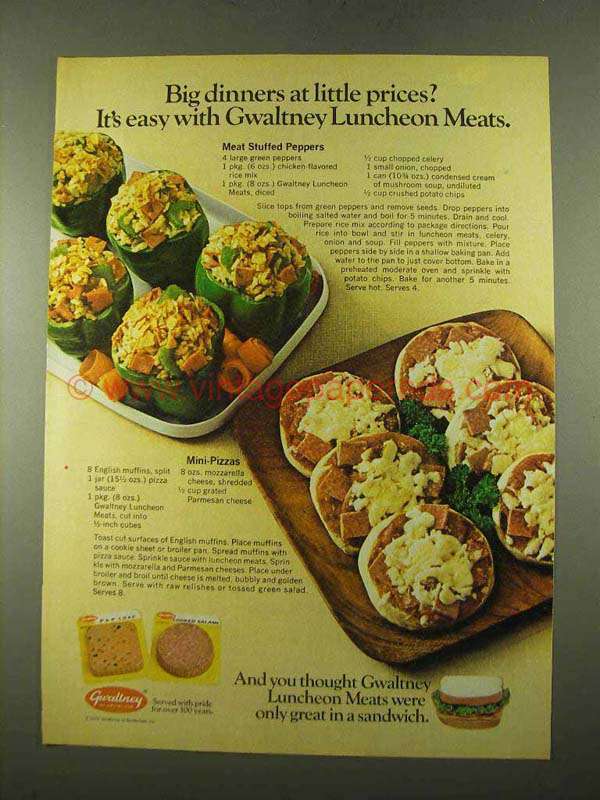 This is a 1975 ad for a Gwaltney Luncheon Meats with recipes for Meat stuffed peppers and mini-pizzas! The size of the ad is approximately 8.5x11inches. The caption for this ad is 'Big dinners at little prices? It's easy with Gwaltney Luncheon Meats' The ad is in great condition. This vintage ad would look great framed and displayed! Add it to your collecction today! 1942 Visking Skinless Frankfurters and Wieners Ad - Woman's weapon to win war!